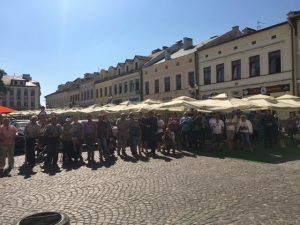 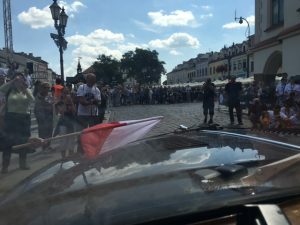 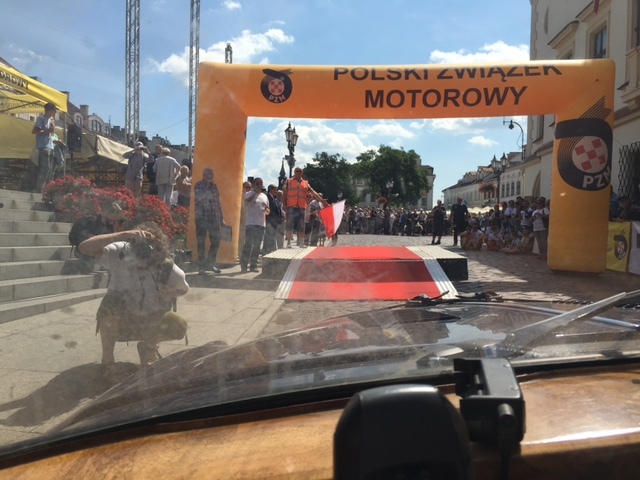 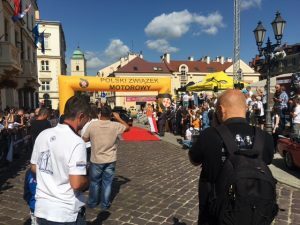 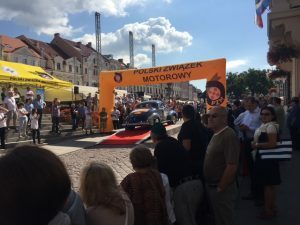 We are ushered to our place on the start ramp, announced to the crowd, loads more pictures taken and then we are waved off with the starters Polish flag. 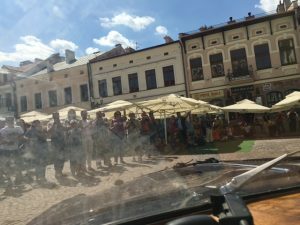 At the end of the rally it will take some time for me to actually stop waving as I drive. 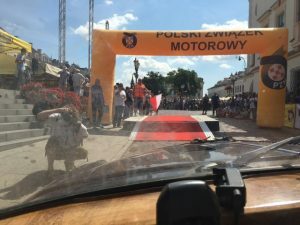 We have a drive to Kosice in Slovakia and 4 timed tests today – 2 in Poland in the morning and 2 in Slovakia in the afternoon.